Please take a few minutes and review the revised policy. If you have any questions, please contact us. If you do not accept this revised policy, North Queensland Advertising may not be able to provide you with our services. This policy is effective 6th May 2013. Information posted on North Queensland Advertising is obviously publicly available. Our servers are located in the United States where North Queensland Advertising is hosted. Therefore, if you choose to provide us with personal information, you are consenting to North Queensland Advertising collection, use, disclosure of your personal information and to the transfer and storage of information. do other things for users as described when North Queensland Advertising collects the information. North Queensland Advertising doesn't sell or rent users; personal information to third parties for their marketing purposes without users explicit consent. North Queensland Advertising may disclose personal information to respond to legal requirements, enforce our policies, respond to claims that a posting or other content violates others rights, or protect anyone's rights, property, or safety. affiliates who help detect and prevent potentially illegal acts and provide joint services. (Our affiliates will market only to users who ask them to). third-party websites and publishers so ads (or the content of the ads) published on North Queensland Advertising can also be published on a broader array of venues or information vehicles. 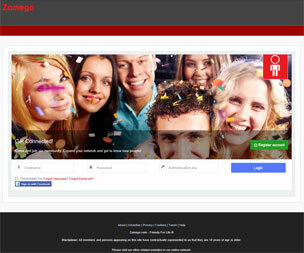 North Queensland Advertising may offer single sign-on services that allow you to use third party login credentials to sign into North Queensland Advertising, With your permission, North Queensland Advertising may also transfer profile information contained in your third-party profile. North Queensland Advertising may also, for your use, enable you to import information about who you are connected, as well as enable you to share information with those third-party sites (other than listings), at your discretion. North Queensland Advertising may automatically scan and manually filter email messages sent via our communication tools for malicious activity or prohibited content, but North Queensland Advertising does not permanently store such messages. If you use our tools to send content to a friend, North Queensland Advertising doesn't permanently store your friends; addresses or use or disclose them for marketing purposes. To report spam from other users, please use customer support help desk. You can see, modify or erase most of your personal information by reviewing and modifying your posting on the "Classifieds User Menu" page, by logging onto “Client Login” or by contacting customer support to review any personal information North Queensland Advertising stores that is not available on North Queensland Advertising. There may be a charge associated with such requests but these will not exceed the amounts permitted by law. North Queensland Advertising deletes personal information when no longer need it for the purposes we described earlier. North Queensland Advertising retains personal information as permitted by law to resolve disputes, enforce our policies; and prevent bad guys from coming back. North Queensland Advertising uses lots of tools (encryption, passwords, physical security) to protect your personal information against unauthorized access and disclosure, but as you probably know, nothing's perfect, so North Queensland Advertising makes no guarantees. North Queensland Advertising or our service providers may use "cookies" (small files placed on your hard drive) on certain of our pages to help analyze our web page flow; customize our services, content and advertising; measure promotional effectiveness, and promote trust and safety. North Queensland Advertising sometimes work with service providers who may place cookies on your computer to serve and measure the effectiveness of ads on our or our advertising partners behalf and collect anonymous information about how you use websites owned by North Queensland Advertising and its affiliates. This information allows them to help us customize our content and advertising. North Queensland Advertising does not allow any company to collect any personal information about you using these cookies. North Queensland Advertising may update this policy at any time, with updates taking effect when you next use the site or after 30 days, whichever is sooner. If North Queensland Advertising or our affiliates are involved in a merger or acquisition, North Queensland Advertising may share personal information with another company, but this policy will continue to apply.